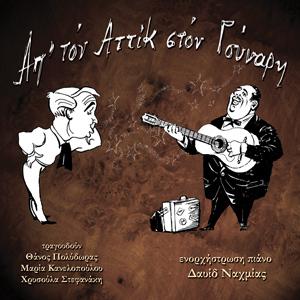 It’s the first compilation that embrace the greek music “pop- romantic” scene of the thirties till the early sixties. It’s a music show that is a big success in the Anesis theater and has been presented in many famous greek tv shows with a summer tour already scheduled. The cd-packing is a glamorous illustrated digipack with all the needed information for the 33 songs.